"Billed as 'the ultimate tailgate grill' it can operate on 120AC or 12V." "The best combination of grilling space, heat control, and easy-to-achieve flavors." "Large enough for the family dinner, but compact enough to transport." "Broiling option for great browning, along with a 440 square inch grilling surface." "You’ll be cooking whole meals on this grill, even though it’s a small model." "Has a convenient lever-operated ash clean-out system." "Your cooking will be simple, whether it’s burgers, a whole turkey, or racks of ribs." "It can cook a pizza up to 13 inches in diameter in about a minute." "A combined grill/smoker setup produces flavorful steaks." More and more appliances are WiFi enabled, like this handy pellet grill. Billed as “the ultimate tailgate grill” it can operate on 120AC or 12V, for home use, camping or tailgating. The legs fold and function as handles when it’s time to pack up the party and go home. Sense-Mate, a thermal sensor, monitors the grill temperature while the WiFi controller lets you monitor and control the grill via an iOS or Android app. The peaked lid offers enough space for a stand-up chicken or other large foods. This includes a meat probe, a tray with utensils and a grease tray. Weighing in at 57 pounds, this is designed to fit into the trunk of most cars. Traeger was the first company that sold pellet grills, and they’re still making quality grills in many sizes. This 20-inch grill is large enough for the family dinner, but compact enough transport to the neighbor’s party or to the vacation cottage. The legs fold, so they won’t get in the way of transportation or storage. The Digital Elite Controller keeps the temperature steady at +/- 20 degrees, so you don’t need to constantly check and adjust the temperature, whether you’re grilling, smoking, baking, roasting or braising. Even though this is compact, it offers 300 square inches of grilling space, which is enough for a dozen burgers, two whole chickens or three racks of ribs. Nonstick porcelain-coated grates are easy to clean. Grilling is great, but sometimes a broiler is the best option. This pellet grill offers that broiling option for great browning, along with a 440 square inch grilling surface including the second tier rack. The cooking temperature can be adjusted from 180 to 500 degrees for low-and-slow or hot-and-fast cooking, and a digital control board lets you select your cooking method and temperature as easily as your home oven. The cooking grids are a porcelain-coated wire for easy cleaning. A pair of wheels make this easy to move, then they can be locked so the grill won’t move if it’s accidentally bumped. While this is portable enough to be rolled to a new location or into storage, at 66 pounds, it’s still a very sturdy grill. 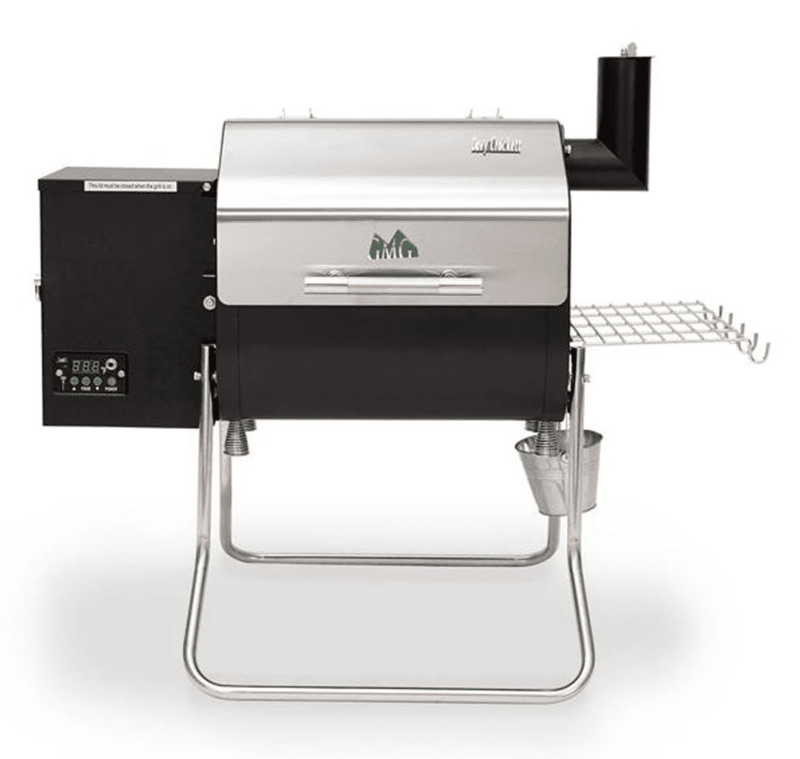 Camp Chef is a familiar name in grills and smokers, including pellet grills. This one offers a heat range from 160 to 500 degrees, and includes a stainless steel meat probe to monitor your roasts. The adjustable chimney top and smart smoke technology help to maintain the optimum temperature when you prefer smoking over grilling. This has a convenient lever-operated ash cleanout system and a grease management system for easy cleaning and maintenance, while the roller wheels make it easy to position anywhere you want it. The ample cooking area and 18-pound pellet hopper make it easy to cook for the family or for a party. The porcelain coated cooking grids are easy to clean, while the easy-drain grease system makes maintenance a snap. Wheels and casters let you easily move this grill to the perfect position despite it weighing over 100 pounds. Most pellet grills have a similar shape, but this one stands out from the rest—for good reason. It’s designed specifically for cooking the best wood-fired pizza in the neighborhood. While the shape is optimized for pizza, you can also use it for cooking other foods, including artisan flatbreads, steaks, burgers, ribs or other foods that cook quickly and don’t stand tall. It can cook a pizza up to 13 inches in diameter in about a minute. This heats in just 10 minutes and can reach a maximum temperature of 932 degrees for super-quick cooking. The body is insulated to help maintain heat and the newly designed pellet burner offers better temperature control for more consistent cooking. The 3-legged design keeps this stable, even on lumpy and uneven surfaces. This comes with a baking stone and a pizza peel. Unique features﻿ Though all of the pellet grills on our list perform the same basic function, each has unique features that make it stand out from the crowd — like Wi-Fi capability or foldable legs for portability. 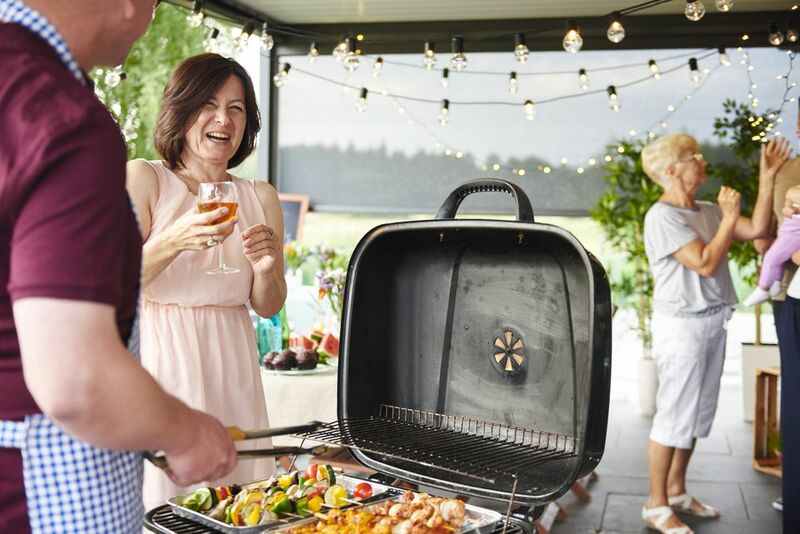 While some of these add-ons may be of little interest to you, others might make that particular grill a must-buy — so look closely!